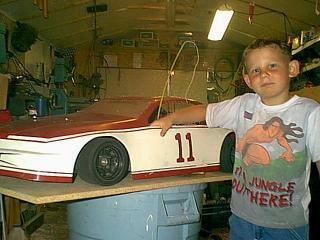 Justin (age 5) Driver of the # 11 car. 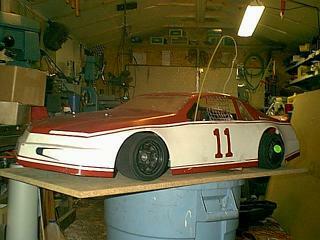 Justin's first quarter scale car! 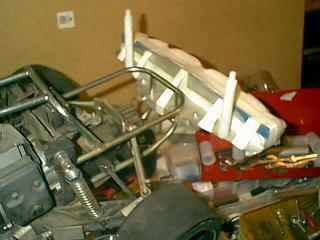 I have taken a Jack rabbit and made the wheelbase longer as well as added the side rails and a front and rear bumper. 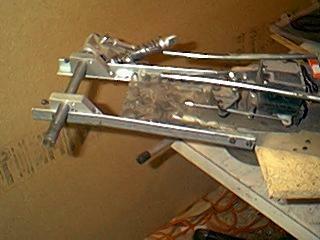 Here is how all this was done. 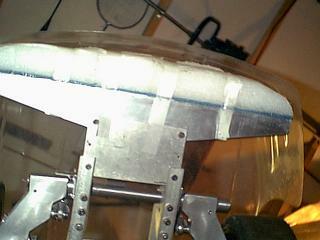 I have added some 1/2" X 1/2" angle to make the wheelbase longer. 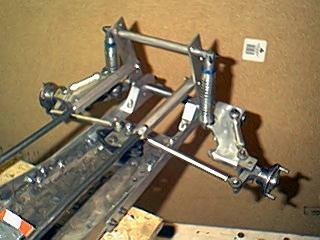 I also have made aluminum swing arms. Here is a look at the new front end from the bottom. 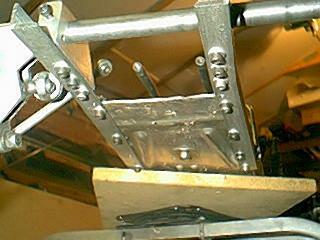 I also has to make the top rails on the rollcage longer. 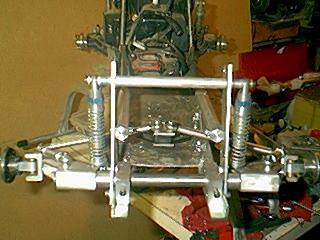 Here is a look at the swing arm setup from the side. 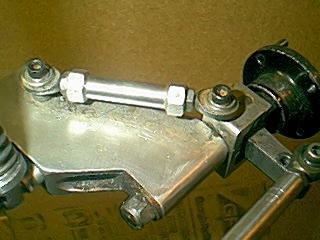 The swing arm has only caster adjustment. Here is a look at the new front end. Another look at the front end. 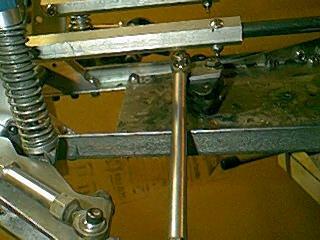 Here is the caster adjustment linkage. 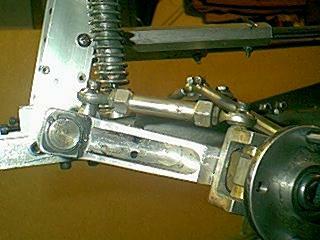 Here is a look at the side rail ( left side). 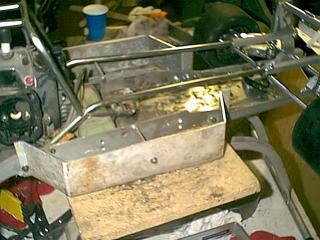 Here is a look at the side rail ( right side). 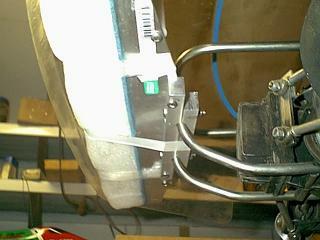 Here is a look at the front bumper and the top bumper support. 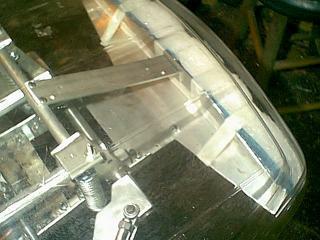 A closer look at the front bumper. 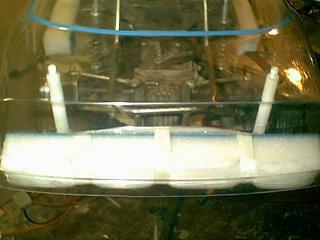 Front bumper from under the car. 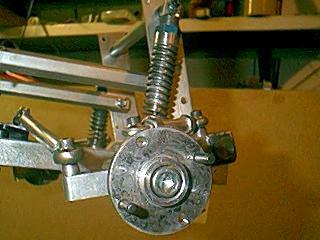 Servos mounted and front end is complete. 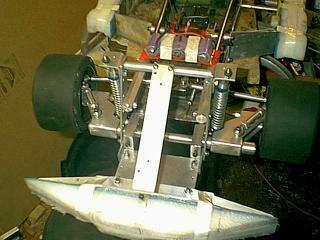 A look at the rear bumper from under the car. 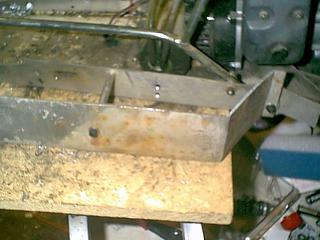 The body post are mounted to the bumper. 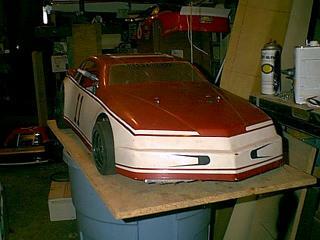 Side view of the completed car. 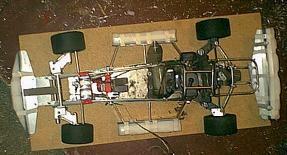 Top view of the completed car. 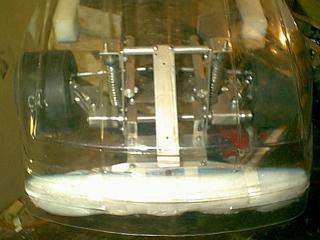 Front view of the completed car. 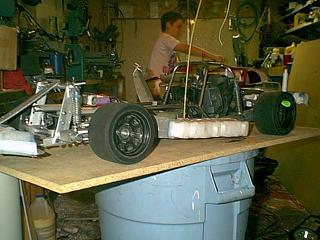 Side view of the finished car. 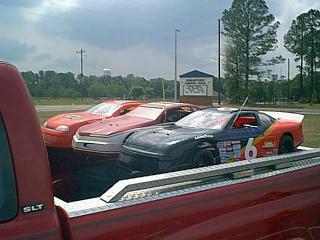 I will update the page as the racing season goes on. Here you can see some of the action from out last race outting!